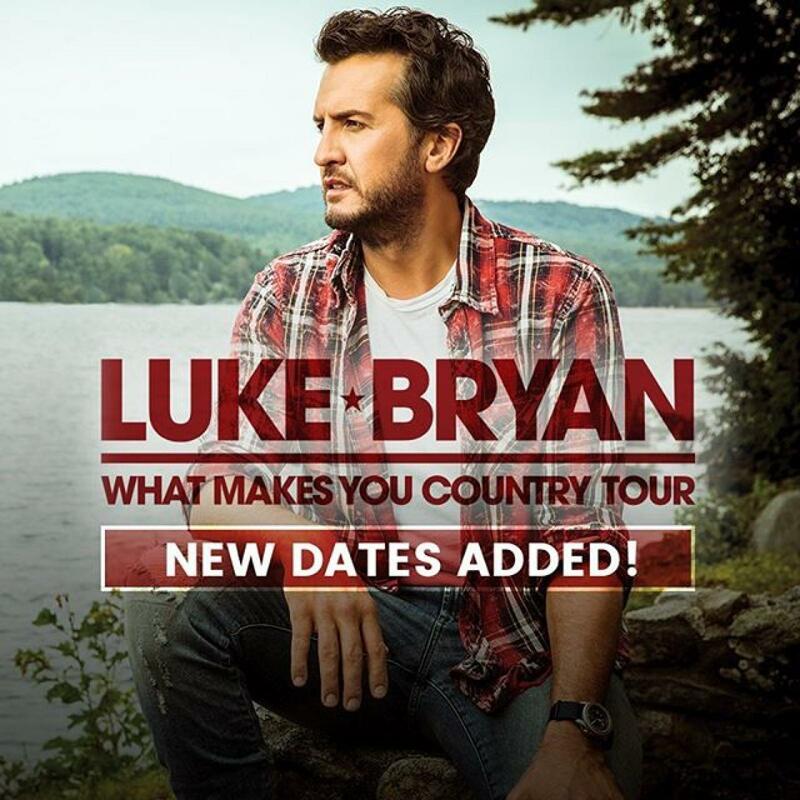 Starting out strong in 2018, Luke Bryan has just announced more dates on his “What Makes You Country Tour” now running through the fall. Fans can purchase tickets beginning Jan. 26 for select cities as part of Live Nation’s Country Megaticket at www.Megaticket.com. Additional on-sales will continue to rollout over the coming weeks. And look for more tour information to be released soon! The additional run of shows on the “What Makes You Country Tour” will launch on the heels of Luke’s judging duties on American Idol, premiering March 11 for its first season on ABC. Jon Pardi is the special guest on all shows June through the end of the year, Morgan Wallen will open June – August and Carly Pearce will appear on select September shows. The first leg of the “What Makes You Country Tour,” named after Luke’s recently released #1 album, was announced on The Ellen DeGeneres Show last fall. The tour will kick off on February 16with special guests Kip Moore and The Cadillac Three.